Happy Sunday! Today, I'm sharing an exciting adventure. Since Spring has sprung here and Spring is also the word of the week in the 52 Snapshots of Life Photo Challenge, I decided to take the cat outside to enjoy it for herself a little bit. Callie did really well, but there were lots of loud noises from the workers next door that startled her occasionally. You can tell from her video that she's very alert and on edge. 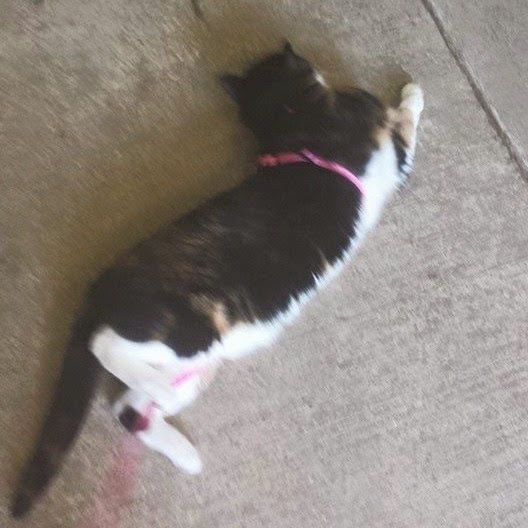 She had fun and rolled around some, but we didn't stay out long for our Spring walk because she was ready to go back to the safe confines of her home. We hope all of you are enjoying Spring too. Although, I've heard some of our friends still have snow! Thanks to The Lazy Pit Bull for hosting the weekly 52 Snapshots of Life Photo Challenge! That sure was a fun out n' about! Callie looks like she was easy to leash train and that she likes the outdoor. Rumor has it we might see some Spring weather this coming week. That looks like a fun outing! Hope she doesn't turn into an escape artist always wanting to go out. Nah, she doesn't really beg to go out or anything or try to escape. She was an escape artist already though at her other house. So she's already used to very limited time outdoors. I can tell it's not her cup of tea to travel very far. She does look a bit nervous but I bet the more you take her out, the more she'll get used to it and love it. I just might have to get a harness for Sam and venture out....if spring ever gets here (yes, we still have snow on the ground)! 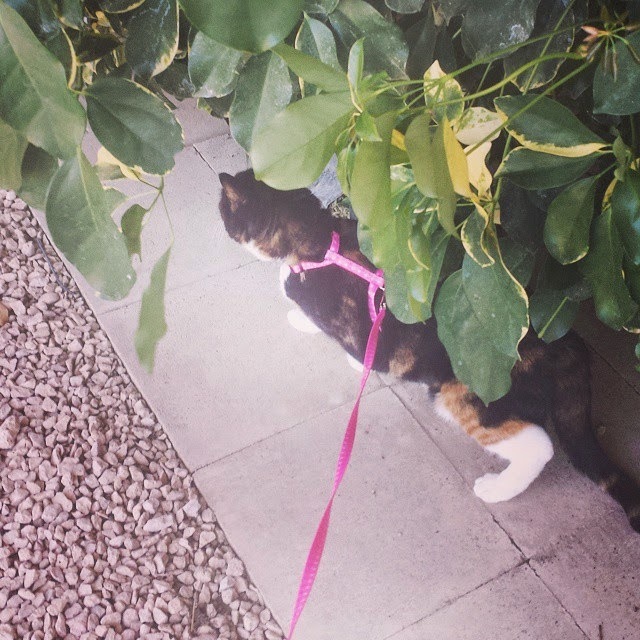 Wow, Callie adapted quickly to a harness. What a smart girl!